The staff at The Mission Table were so amazing to work with. They provided all of our guests with excellent service on the day of the event, and were so easy to work with in the days leading up. I absolutely loved the cottage type feel of the venue! The bridal suite I was able to get ready in provided ample room and was so convenient. The service couldn't have been better! We got married at Mission Table and we couldn't have asked for a better day. Not just because it was beautiful out but the venue atmosphere was just as we imagained. A big thank you to Barb for lending us their floral arrangements for our ceremony so we didn't have to purchase our own, we appreciated that so much. And a huge thank you to Kate for everything you did, big and small, you were so great to work with and made things go so smoothly and stress free, we can't thank you enough. Kevin was also great to have for our reception, the service couldn't have been better. And lastly, the food was AMAZING!! Cannot say enough good things about Mission Table, will definitely be back! Thanks to Barbara Olson, the event director at the Peninsula Room, and all of her amazing staff, we had the best day and night of our lives! It was also a pleasure to meet Paul Olson (head chef at the Peninsula Room and the Jolly Pumpkin) the day of the rehearsal dinner. He was overly nice, and accommodating to our needs. as was Barbara was. Throughout planning, my wife and I thought Barbara was great because she was always so laid back and to the point, plus very quick to respond to e-mails or phone calls. Hats off to the chefs as well. All of our guests loved the food, including the custom made samosas, and everyone raved about the craft beers and wines/liquors. Paul and Barbara also allowed us to bring some of our own homemade indian food to serve at the wedding, which they helped store and heated and served for us at the wedding. The staff at the Jolly Pumpkin and the Peninsula Room always had smiles on their faces, and made sure every guest had 5 star service. The property was gorgeous; service top notch. My wife and I would not change a thing about this epic day! Thanks again to everyone at the Peninsula Room and the Jolly Pumpkin. My wife and I plan to visit every year to celebrate our anniversary, and the 5 hour drive to the Peninsula Room/ Jolly Pumpkin from our home is worth every last second! 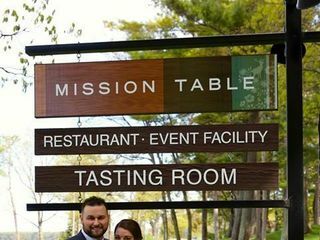 We had our wedding and reception at Mission Table and it was a beautiful location. The food was phenomenal as well. The only complaint I have was that the coordinator Barbara was a little disorganized. No one let the day of staff know the times we wanted dinner or desserts so everything was late. The day of staff was very apologetic and understanding that the message just wasn't given to them. 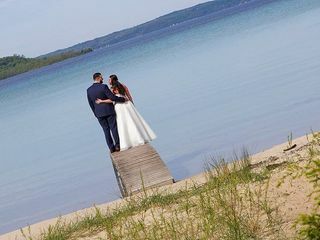 Other than this, the wedding was a dream and the location was perfect. We had our rehearsal at the Jolly Pumpkin and our ceremony in the front of the property. Overall our experience was positive with Mission Table. We primarily worked with the event coordinator, Barbara, and she did help us save quite a bit of money on our events. She must be a very busy person though because she was difficult to get a hold of at times and did not always return emails in a timely manner. The good, however, far out-weighed the bad for us. The reception venue is incredible and the price is very good compared to counterparts in the area. The Jolly Pumpkin has exceptional food and is a nice atmosphere for a laid-back rehearsal. 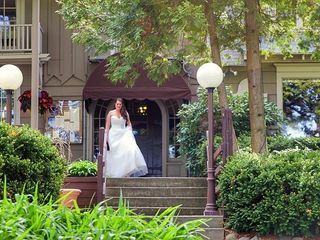 We would recommend others to use Mission Table for an outdoor ceremony site and the Jolly Pumpkin as a rehearsal location. We had a frustrating time trying to work with Mission Table (who owns/is part of The Peninsula Room). The event organizer is unorganized and not customer service oriented. We set up an appointment to visit (3+ hours away, stayed the night in town, etc) and she forgot all about it. We wandered around waiting to be helped and eventually found someone else. Days later we received a simple "Sorry for missing you" email, which was disappointingly less than we expected. She emailed asking for clarification because she said she talked to my fiance the week prior, but that never happened (it was as if it were an excuse to get clarification, which is weird). After talking to her for weeks and weeks, she mentioned that we would be required to use them for the reception as well. Had that been known up front, we would've never visited or continued with contact at all. She also mentioned that doing that would provide us with a rain back-up, but according to the website a rain back-up is already provided with the ceremony space. Overall, would not recommend and we are now on the search for a new venue.